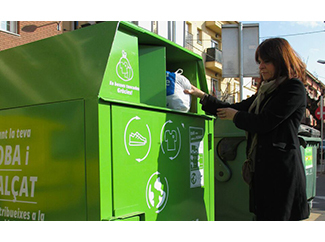 Gestures as donating clothes to social organizations are another example of solidarity and citizens demonstrating sensitivity to the development of the most disadvantaged communities, reflected for example in the latest Eurobarometer survey from the European Commission. 93% of Spaniards supports development cooperation policies. In addition, 78% believe that support for disadvantaged communities should be a priority of the European Union, above the average of the 28 member countries (69%). 26% also believes that development aid should be positioned the amounts committed by governments. Furthermore, Spain is one of five countries in which at least 20% of citizens consider that each individual can play a role against the fight against poverty in developing countries. 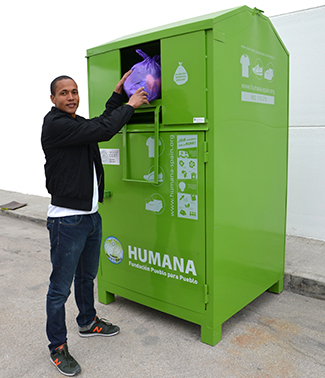 Humana applauds and welcomes join a society like Spanish, shown as caring and committed. Each year more than two million Spaniards demonstrate their solidarity and concern for sustainable development relying on management of our Foundation in promoting a second life to clothes that no longer use. This confidence rests our defense of social order used clothing, we carry out together with other organizations with whom we do common front for the fabric is maintained as a key element in helping others. This defense, however, need greater support from the competent authorities for the solidarity shown by the Spanish in the Eurobarometer have a more intense recycling and reuse of textile reflex. An example of this mobilization is the appeal launched by the OCU for "municipalities promote the collection of clothing in all municipalities and are prioritized to entities with social purposes through social clauses in contracts authorization containers. As consumers donate clothing, at least it will be useful to those most in need".